“Dr. Hallam…Dr. Peter Hallam…Dr. Hallam…Cardiac Intensive, Dr. Hallam…” The voice droned on mechanically as Peter Hallam sped through the lobby of Center City Hospital, never stopping to answer the page since the team already knew he was on his way. He furrowed his brow as he pressed six, his mind already totally engaged with the data he had been given twenty minutes before on the phone. They had waited weeks for this donor, and it was almost too late. Almost. His mind raced as the elevator doors ground open, and he walked quickly to the nurses’ station marked Cardiac Intensive Care. “Have they sent Sally Block upstairs yet?” A nurse looked up, seeming to snap to attention as her eyes met his. Something inside her always leapt a little when she saw him. There was something infinitely impressive about the man, tall, slender, gray- haired, blue-eyed, soft-spoken. He had the looks of the doctors one read about in women’s novels. There was something so basically kind and gentle about him, and yet something powerful as well. The aura of a highly trained racehorse always straining at the reins, aching to go faster, farther…to do more…to fight time…to conquer odds beyond hope…to steal back just one life…one man…one woman…one child…one more. And often he won. Often. But not always. And that irked him. More than that, it pained him. It was the cause for the lines beside his eyes, the sorrow one saw deep within him. It wasn’t enough that he wrought miracles almost daily. He wanted more than that, better odds, he wanted to save them all, and there was no way he could. “Was she ready?” That was the other thing about him and the nurse marveled at the question. She knew instantly what he meant by “ready”; not the I.V. in the patient’s arm, or the mild sedative administered before she left her room to be wheeled to surgery. He was questioning what she was thinking, feeling, who had spoken to her, who went with her. He wanted each of them to know what they were facing, how hard the team would work, how much they cared, how desperately they would all try to save each life. He wanted each patient to be ready to enter the battle with him. “If they don’t believe they have a fighting chance when they go in there, we’ve lost them right from the beginning,” the nurse had heard him tell his students, and he meant it. He fought with every fiber of his being, and it cost him, but it was worth it. The results he’d gotten in the past five years were amazing, with few exceptions. Exceptions which mattered deeply to Peter Hallam. Everything did. 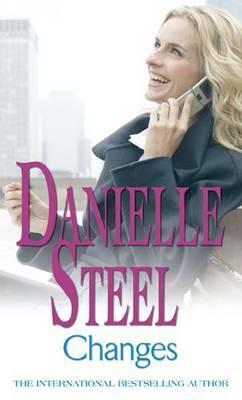 He was remarkable and intense and brilliant…and so goddamn handsome, the nurse reminded herself with a smile as he hurried past her to a small elevator in the corridor behind her. It sped up one floor and deposited him outside the operating rooms where he and his team performed bypasses and transplants and occasionally more ordinary cardiac surgery, but not often. Most of the time, Peter Hallam and his team did the big stuff, as they would tonight. Sally Block was a twenty-two- year-old girl who had lived most of her adult life as an invalid, crippled by rheumatic fever as a child, and she had suffered through multiple valve replacements and a decade of medication. He and his associates had agreed weeks before when she’d been admitted to Center City that a transplant was the only answer for her. But thus far, there had been no donor. Until tonight, at two thirty in the morning, when a group of juvenile delinquents had engaged in their own private drag races in the San Fernando Valley; three of them had died on impact, and after a series of businesslike phone calls from the splendidly run organization for the location and placement of donors, Peter Hallam knew he had a good one. He had had calls out to every hospital in Southern California for a donor for Sally, and now they had one–if Sally could just survive the surgery, and her body didn’t sabotage them by rejecting the new heart they gave her. He peeled off his street clothes without ceremony, donned the limp green cotton surgery pajamas, scrubbed intensely, and was gowned and masked by surgical assistants. Three other doctors and two residents did likewise as did a fleet of nurses. But Peter Hallam seemed not even to see them, as he walked into the operating room. His eyes immediately sought Sally, lying silent and still on the operating-room table, her own eyes seemingly mesmerized by the bright lights above her. Even lying there in the sterile garb with her long blond hair tucked into a green cotton cap she looked pretty. She was not only a beautiful young woman but a decent human being as well. She wanted desperately to be an artist…to go to college…to go to a prom…to be kissed…to have babies…. She recognized him even with the cap and mask and she smiled sleepily through a haze of medication. “Hi.” She looked frail, her eyes enormous in the fragile face, like a broken china doll, waiting for him to repair her. “Funny.” Her eyes fluttered for a moment and she smiled at the familiar eyes. She had come to know him in the last few weeks, better than she had known anyone in years. He had opened doors of hope to her, of tenderness, and of caring, and the loneliness and isolation she had felt for years had finally seemed less acute to her. “Sort of.” But he knew she was well prepared. He had spent weeks explaining the surgery to her, the intricate process, and the dangers and medications afterward. She knew what to expect now, and their big moment had come. It was almost like giving birth. And he would be giving birth to her, almost as though she would spring from his very soul, from his fingertips as they fought to save her. The anesthetist moved closer to her head and searched Peter Hallam’s eyes. He nodded slowly and then smiled at Sally again. “See you in a little while.” Except it wouldn’t be a little while. It would be more like five or six hours before she was conscious again, and then only barely, as they watched her in the recovery room, before moving her to intensive care. “Will you be there when I wake up?” A frown of fear creased her brows and he was quick to nod. “I sure will. I’ll be right there with you when you wake up. Just like I’m here with you now.” He nodded to the anesthetist then, and her eyes fluttered closed briefly from the sedative they had administered before. The sodium pentothal was administered through the intravenous tube already implanted in her arm; a moment later, Sally Block was asleep, and within minutes, the delicate surgery began. For the next four hours, Peter Hallam worked relentlessly to hook up the new heart, and there was a wondrous look of victory on his face, as it began to pump. For just a fraction of a second, his eyes met those of the nurse standing across from him, and beneath the mask he smiled. “There she goes.” But they had only won the first round, he knew only too well. It remained to be seen if Sally’s body would accept or reject the new heart. And as with all transplant patients, the odds weren’t great. But they were better than they would have been if she hadn’t had the surgery at all. In her case, as with the other people he operated on, it was her only hope. At nine fifteen that morning, Sally Block was wheeled into the recovery room, and Peter Hallam took his first break since four thirty A.M. It would be a while before the anesthetic wore off, and he had time for a cup of coffee, and a few moments of his own thoughts. Transplants like Sally’s drained everything from him. “That was spectacular, Doctor.” A young resident stood next to him, still in awe, as Peter poured himself a cup of black coffee and turned to the young man. “Thank you.” Peter smiled, thinking how much the young resident looked like his own son. It would have pleased him no end if Mark had had ambitions in medicine, but Mark already had other plans, business school, or law. He wanted to be part of a broader world than this, and he had seen over the years how much his father had given of himself and what it had cost him emotionally each time one of his transplant patients died. That wasn’t for him. Peter narrowed his eyes as he took a sip of the inky brew, thinking that maybe it was just as well. And then he turned to the young resident again. “It’s too soon to tell. Hopefully, she’ll do fine.” And he prayed that what he said was true, as he covered his operating-room garb with another sterile gown and headed toward the recovery room. He left his coffee outside, and went to sit quietly in one of the chairs near where Sally lay. A recovery-room nurse and a battery of monitors were watching Sally’s every breath, and so far all was well. The trouble, if it arose, was likely to come later than this, unless of course everything went wrong from the beginning. And that had happened before too. But not this time…not this time…please God…not now…not to her…she’s so young…not that he would have felt any differently if she had been fifty- five instead of twenty-two. “…Peter…” Her voice was less than a whisper in the stillness. “I love you, Anne…” His eyes had filled with tears and he had wanted to shout, “Don’t go.” She smiled the magical smile that always filled his heart, and then with the ease of a sigh she was gone, as he stood in bereft horror and stared. Why wouldn’t she fight? Why wouldn’t she let him try? Why couldn’t he accept what other people accepted from him every day? But he couldn’t accept it now. He stood and he stared at her, sobbing softly, until one of his colleagues led him away. They had taken him home and put him to bed, and somehow in the next days and weeks he had gone through all the motions that were expected of him. But it was like an ugly underwater dream, and he only surfaced now and then, until at last he realized how desperately his children needed him. And slowly, he had come back, and three weeks later he was back at work, but there was something missing now. Something that meant everything to him. And that something was Anne. She never left his mind for very long. She was there a thousand times a day, as he left for work, as he walked in and out of patients’ rooms, as he walked into surgery, or back out to his car in the late afternoon. And when he reached his front door, it was like a knife in his heart again every time he went home, knowing that she wouldn’t be there. He sat in the stillness of the recovery room, his long legs stretched out before him, his face tense, watching Sally breathe, and at last her eyes opened for an instant and fuzzily swept the room. “Sally…Sally, it’s Peter Hallam…I’m here, and you’re fine…” For now. But he didn’t say that to her, nor did he even let himself think that. She was alive. She had done well. She was going to live. He was going to do everything in his power to see to it. He sat at her bedside for another hour, watching her, and speaking to her whenever she came around, and he even won a small, weak smile from her before he left her shortly after one in the afternoon. He stopped in the cafeteria for a sandwich, and went back to his office briefly, before coming back to the hospital to see patients at four o’clock, and at five thirty he was on the freeway on his way home, his mind once again filled with Anne. It was still difficult to believe that she wouldn’t be there when he got home. When does one stop expecting to see her again, he had asked a friend six months before. When will I finally understand it? The pain he had come to know in the past year and a half had etched a certain vulnerability into his face. It hadn’t been there before, that visible hurt of loss and sorrow and pain. There had only been strength there before, and confidence, the certainty that nothing can ever go wrong. He had three perfect children, the perfect wife, a career he had mastered as few men do. He had climbed to the top, not brutally but beautifully, and he loved it there. And now what? Where was there left to go, and with whom? 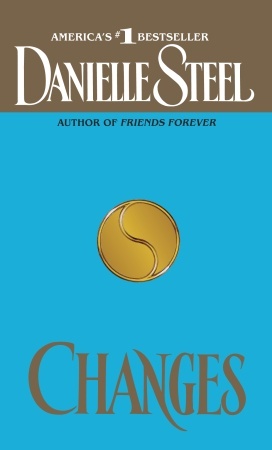 Excerpted from Changes by Danielle Steel. Excerpted by permission of Dell, a division of Random House, Inc. All rights reserved. No part of this excerpt may be reproduced or reprinted without permission in writing from the publisher.